Radio weeks are up and running for the semester, hello to all these legends! The full list of stations from multi-year FM to streaming and on demand can be found here. Wired FM (Mary Immaculate & Limerick Institute of Technology) has an online application form here. Flirt FM based in NUI Galway (but open to all Galway Students, including TY) also has an online application form here. DCU FM (you guessed it, Dublin City University). You can find more information about them on their Facebook page. We'll be updating this site with more student radio volunteering opportunities as they arise, here and on the Irish Student Radio Network Facebook page. So much student radio fun this semester! 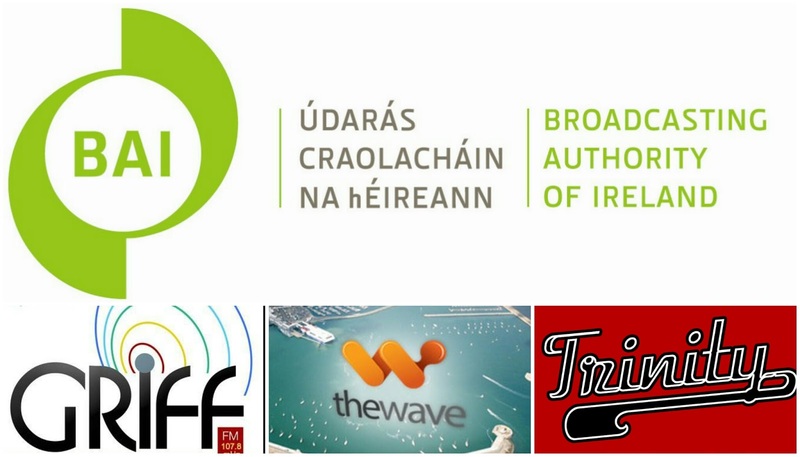 The Broadcasting Authority of Ireland (BAI) announced today (01/02/16) that it has granted temporary broadcasting licences to three college radio stations. Trinity FM (Trinity College, Dublin) will broadcast on 97.3FM to Trinity College and Environs on multiple dates for 30 days over 2016, commencing today the 1st February 2016. 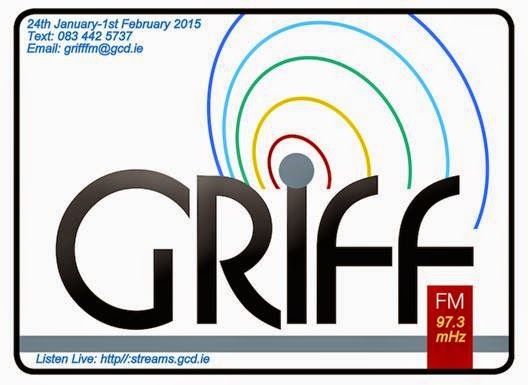 Grifffm16 (Griffith College Dublin) will broadcast from 30th January to 7th February 2016 to Griffith College Dublin and from 5th to 13th March 2016 to Griffith College, Cork. 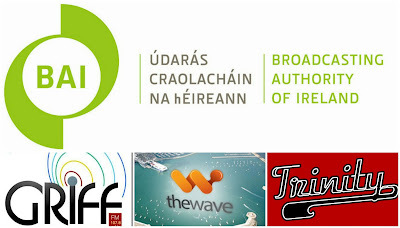 The Wave FM (Dún Laoghaire Further Education Institute (DFEi)) will broadcast to Dún Laoghaire, Blackrock and Environs from 8th February to 14th February 2016. 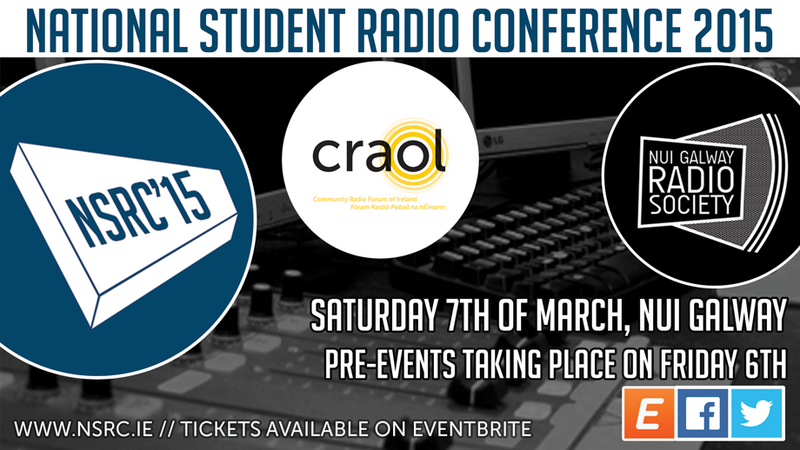 The conference is supported by Craol, the representative, co-ordinating, lobbying, training, & support organisation for Irish Community Radio; NUI Galway Societies’Office and Flirt FM 101.3. The conference will not specifically focus on student radio but will rather offer an all-encompassing look at the medium and the structures built around it. There will be informative talks from some of Ireland's top media organisations, hands-on demonstrations, Q&A sessions and other special events. The conference is also a great chance to network and meet like-minded students from all around the country. Visit the official website here, and check out their Facebook page too. 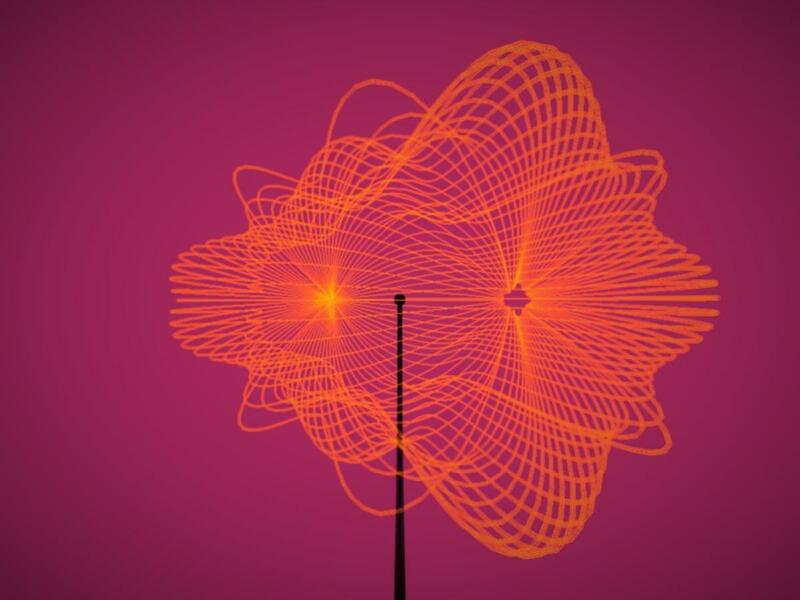 iTT FM Radio Week 2015 is live in Dublin! IT Tallaght Radio Society are back on air with Radio Week 2015. Tune in from 12PM - 9PM daily on 99.1FM or if you're outside their coverage area you can listen in from their swanky new website! Just click on the "Listen Live" button on their homepage. Their schedule is available here too. In some other exciting news, some of their members have formed the 99.1 Rap Crew, they're preparing they're rap and to make sure everyone can get excited they've made a promotional video! Check it out below and be sure to keep an eye out for more news on them! This year Griffith College’s student radio station, Griff FM, will begin broadcasting for 9 days from Saturday 24th January until Sunday 1st February. This year’s editors are former students, Alan Oliver, who has been Station Editor since 2012, and MA Journalism & Media Communications graduate, Peadar Breathnach. Griff FM has been the launch pad for numerous former students, including Chris Donoghue of Newstalk and UTV Ireland, Mark Simpson of Newstalk, Louise Denver of RTÉ, Sinead Dalton of TV3 and Daniel Flanagan of Newstalk. Griff FM can be heard on 97.3FM and online from Saturday 24th January.The radio station’s launch event is taking place at Griffith College’s Dublin campus on Monday 26 January from 6.30pm. One of Ireland’s top radio and television presenters, Pat Kenny from Newstalk 106-108FM and UTV Ireland will be there to officially launch the station for 2015. Also taking part in the launch will be Henry McKean of Under the Covers and Moncrieff shows on Newstalk. Henry is a journalism graduate of Griffith College and began his broadcasting career on Griff FM. Here is the schedule for all the shows running during the week! 1:00pm-2:00pm; D8, A look at stories from Dublin 8 and beyond. 10:00pm-10.00am; Student Assignment documentaries and music. 10.00am-12.00pm Griff FM Music Mix; Live music & entertainment show. 12.00pm-2.00pm Griff FM Midday Live; News, Current Affairs & Arts. 2.00pm-6.00pm Griff FM Sports, Live sports reports and interviews. Wired FM, Limerick's only fully licensed student radio station will introduce a new strategy in support of Irish music when it returns after its annual winter break on the 26th of January. This year they officially launch their Fortnightly Irish Artist Index, picking 50 tracks from 50 Irish acts, half from recent and forthcoming releases, and the other half will be chosen from their extensive archive of Irish artists that spans the 20 years of their existence and further. Their DJs will then liberally dip into that list throughout each fortnight. Irish Acts should send their Albums/Eps/Singles to Wired FM, Mary Immaculate College, South Circular Road, Limerick.